Hello. My name is Josh Curtin and I love music. My passion for music began early in my high school career. After several years playing bass guitar for several different bands in the Baltimore/Washington area, I started teaching beginner guitar lessons privately for some friends and other members in my community. I enjoyed watching the progression of students as they dedicated their time and effort to mastering an instrument. Music and Arts allows me this same satisfaction but on a much larger scale. Whether it is a first time percussion student, a seasoned guitar player, or a dedicated orchestral string student gunning for first chair at their high school, we provide everything possible to make better musicians. I am still playing music but mostly private parties and small events while I am working on a new album with a close musician friend of mine. 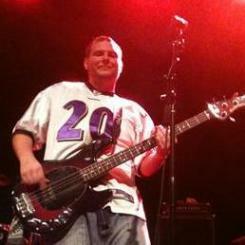 When playing bass I prefer my Ernie Ball Musicman Stingray four string. I have been using this for almost nine years now and love the versatility of tone that I am able to get out of it. This was especially useful when I was playing in a cover band that played songs spanning from the '60s to current day top 40 pop songs. I also love the pure sound of a great acoustic guitar. I have several but my favorite (for now) is the Eastman AH6-OM. The mahogany sides and back combined with a solid sitka spruce top creates an incredibly dynamic tone. Music has a special place in all of our lives in one way or another. Some people listen, some people play, and some people create. Whichever role you want to take just remember, our goal is to help you reach yours.